Happy 107th Birthday, Crockett Johnson! Crockett Johnson was born 107 years ago today, in New York City. If you are (or will be) in New York, here are three ways you can celebrate. 1. 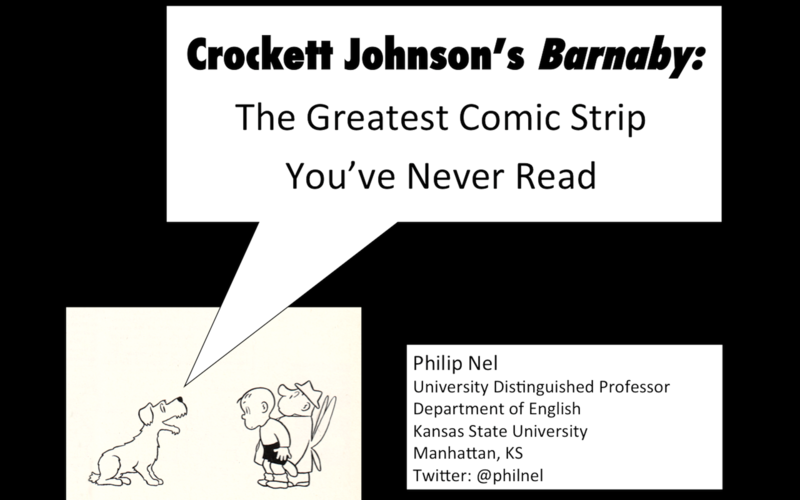 In the shameless self-promotion department, you can hear me tomorrow (October 21st) at 8 pm Ben Katchor’s New York Comics and Picture-story symposium, at the Parsons School (2 West 13th Street), in the Bark Room (off the lobby). Free and open to the public. I’m up at 8 pm, but the symposium starts at 7. So, if you’re heading over there, you might come for Aaron Beebe‘s talk (at 7). Why not? Two events, both free, same evening! 2. 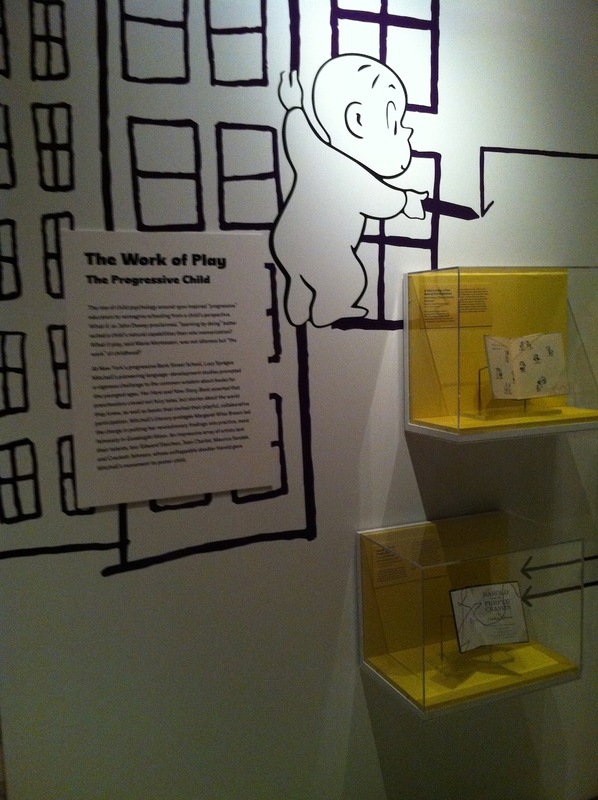 Visit “The ABC of It: Why Children’s Books Matter,” an absorbing exhibit curated by Leonard Marcus. 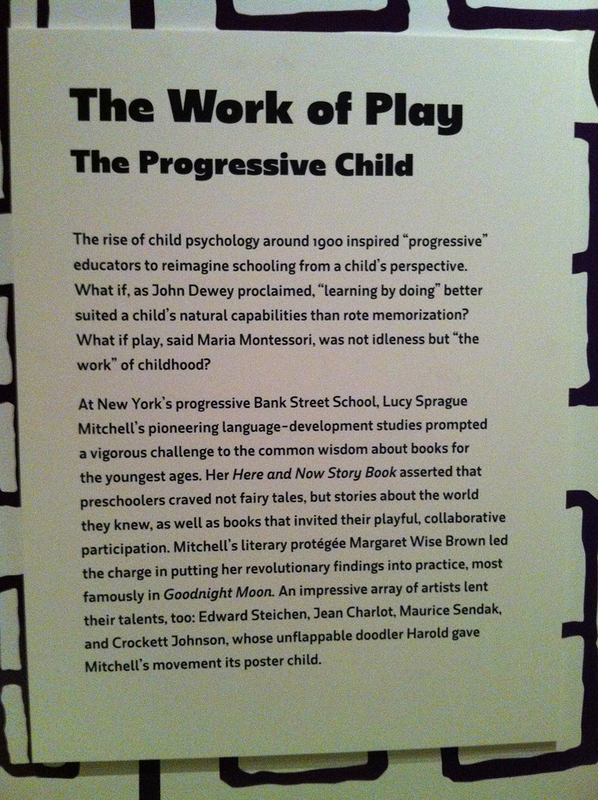 It’s at the New York Public Library, through March 23, 2014. It’s also free. And, yes, Harold makes an appearance. There’s a great deal more there, besides, including art by William Blake, John Tenniel, Marcia Brown, Ludwig Bemelmans, Edward Lear; first (or at least early) editions of The Cat in the Hat, Harriet the Spy, The Brownies Book; the ARC of Harry Potter and the Sorcerer’s Stone; children’s books from the early-twentieth century Russian avant-garde; and far more than I can possibly catalogue in this sentence. Well worth a visit! 3) Take a walking tour of Crockett Johnson’s childhood homes, courtesy of last year’s blog post. He was born at 444 East 58th Street, but — after a few years there — grew up in Queens, starting at a house adjacent to (what is now) the Corona Branch of the Queens Public Library. 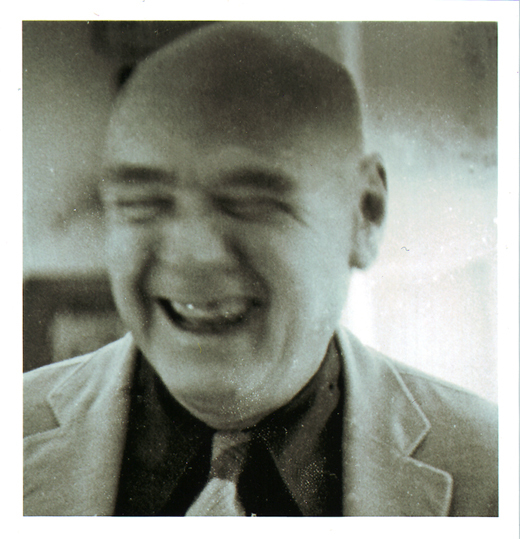 And, to conclude, here’s a photo (also previously posted) of Crockett Johnson laughing. Enjoy!